Yes, He Sold Fakes. They Are Supposed to Be Fake. Paper imitations of luxury items are traditional at Chinese funerals as gifts for the dead, but a seller of cardboard handbags was arrested on copyright-infringement charges on Tuesday. Ok ok. 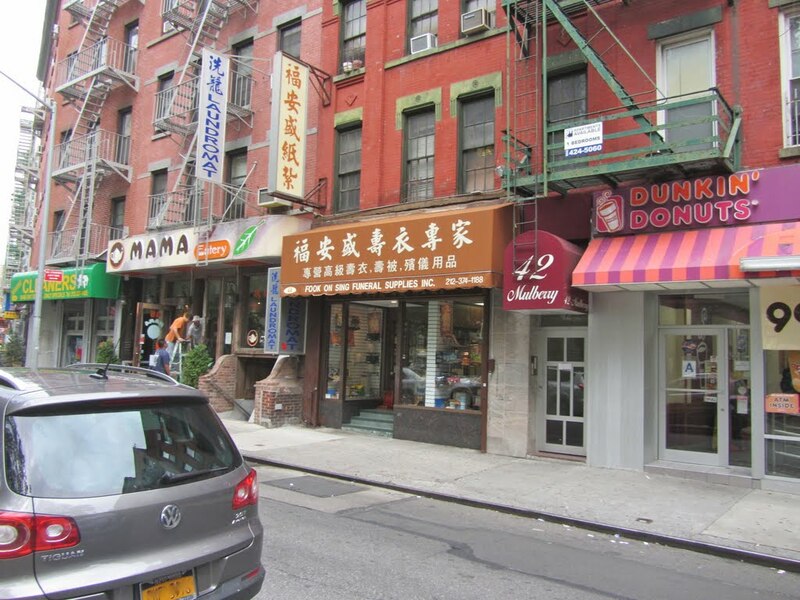 So the the Fook On Sing Funeral Supplies store on Mulberry Street wasn’t raided, per se, but one of its workers (Wing Su Mak) was arrested by the New York police for offering to sell cardboard reproductions of high-end consumer goods, including authentic cardboard Burberry and Louis Vuitton handbags. The use of cardboard replicas in Chinese funerals, which go in the casket with the deceased and then are incinerated during cremation, is a long-standing funereal custom. And since this is a long-time tradition it means that the objects people want in the casket also change with the times. Ergo, the cardboard swag. I have been in the Fook On Sing Funeral Supplies store on Mulberry street and purchased cardboard replicas of items which I proudly display in my office. 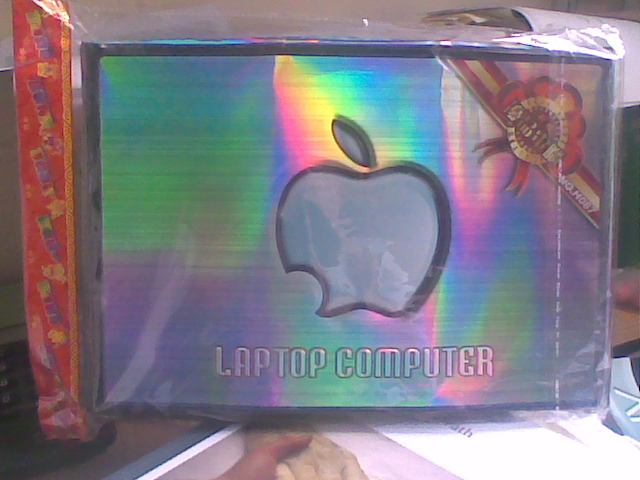 One of my favorite purchases was the cardboard laptop computer with the Apple computer apple on it. Come and get me Coppers!!! The people at Fook On Sing are also really nice and when I visited the store in April 2011, Wing Su Mak took time to explain why people wanted the newer kinds of objects. If not, then look out NYPD. You’re going to have the world of Death Studies Scholars leaping to Fook On Sing Funeral Supplies’ legal defense. And that, my friends, will be no joke. Posted by John in Death + Crime, Death + Popular Culture and tagged China, funerals. Bookmark the permalink. ← Cryopreserve Me into the FUTURE! I’m trying to think of something succinct to say. But a version of your comment seems to sum it up. FACEPALM.